Lack of non-technical education. Most PMs are promoted from technical positions, and their professional training neglects managerial techniques. Yet finance, communication, leadership, and negotiation are among the key skills needed to succeed in project management. A firm’s commitment to making the PM successful is extremely dependent on appropriate non-technical education in all aspects of business and people management. The principal’s commitment. Responsibility for achieving success in project management must be accompanied by appropriate levels of authority. Principals who won’t delegate authority for any decisions can damage the project manager’s effectiveness and make the project management process one in name only. Too many projects. Being assigned too many projects may prevent the project manager from giving enough attention to each one, especially when management tasks take second place to technical responsibilities on these projects. There is an appropriate number of projects to assign each project manager, determined by size, design complexity, location, team strength, etc. The firm’s process should identify how the selection is made for each type of project and manager. Clients who don’t understand the project management process. Unseasoned clients who have always paid “cost-plus” for their projects balk at paying for managers they don’t see as advancing the technical work. This situation is changing rapidly as clients are shifting more risk and responsibilities to the design firm. Today’s challenge is more related to keeping the “cost-plus” client (politically) out of the day-to-day business on lump-sum contracts. Client education is vital to project management success and is one of the primary responsibilities of the firm’s principals. Lack of individual commitment. Many project managers accept their positions not from love of the position’s duties, but because they see it as the only way to get ahead in the firm. The firm’s PM selection process must identify key managers who are both knowledgeable of project management concepts and are committed to performance in this role. Firm principals continue to promote excellent technical staff members to PM positions, only to watch them fail, not from lack of effort but from lack of desire and commitment. Good people should be assigned to positions in which they can win, not lose! Lack of authority. Responsibility without the accompanying authority leads to frustration. A clear, detailed description of the levels of authority of each project manager must be given not only to the PM but also to the firm’s other managers, e.g., marketing managers, department managers, etc. Lack of participation during contract negotiations. Project managers who don’t participate in actually finalizing the agreement are always at a distinct disadvantage. They miss much of the subtle give-and-take that took place during negotiations. They miss some of the client’s key hot buttons that define success for the project. In addition, PMs who have the final contract and budget handed to them from above don’t develop the same commitment to maintaining those budgets as PMs who are intimately involved in negotiating the fees. Lack of interaction skills. Project managers who remain in their offices and don’t stay in touch with their clients and the production staff always have problems. PMs must communicate constantly with everyone: the team, client, upper management, etc. People who are uncomfortable with meetings, presentations, phone calls, etc., will not succeed as project managers. Frequent conversations with everyone on the team must be the norm, and completing the required paper trail on all project activities must be a priority. Lack of knowledge about the client’s business. Project managers who don’t understand their clients’ business environment and individual goals don’t deliver the best projects. 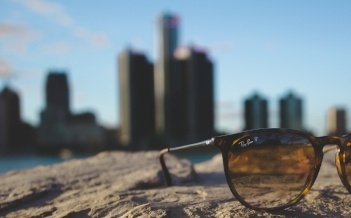 In business today, every client has a client even if the person is a member of the general public. Knowledge of why the design firm’s client is creating the project—either to sell a microchip profitably or to produce clean drinking water for the residents of a local town—is critical to the success of the project. The firm’s principals and the project managers should spend as much time learning about their client’s business as their own. Development of effective strategic plans should result in improving this vital aspect of business success. 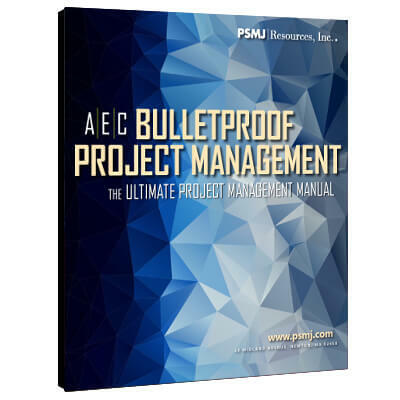 This is article is an excerpt from PSMJ's recently released A/E/C Bulletproof Project Management: The Ultimate Project Management Manual, the only resource that is a roadmap to architecture and engineering project management success. You not only get proven strategies that get results in virtually every facet of project management, you gain never-fail approaches for effective A/E/C project management.